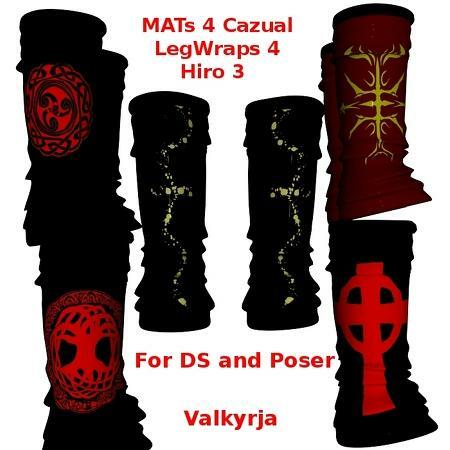 Give your Cazual LegWraps for Hiro 3 some new looks. Included in this package are PZ2s for Poser and also Daz material presets. Just unzip into the Studio folder and you will be ready to go.